Rick Schmidt of Mancos prepares his hot air balloon, Snaggletooth, for liftoff Friday in the Animas Valley. 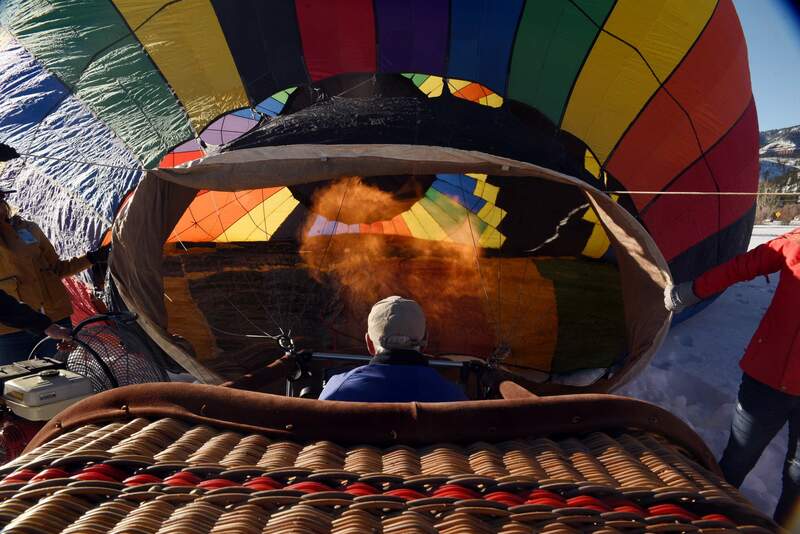 Schmidt has been piloting hot air balloons for more than 20 years and worked as a ground crew member before becoming a pilot. The Snowdown Balloon Rally & Mass Ascension will take place at 8 a.m. Saturday and Sunday, weather permitting. Hot air balloons to take flight this weekend Hot air balloons launched Friday morning in the Animas Valley in preperation for the Snowdown Balloon Rally & Mass Ascension, which will take place at 8 a.m. Saturday and Sunday, weather permitting.